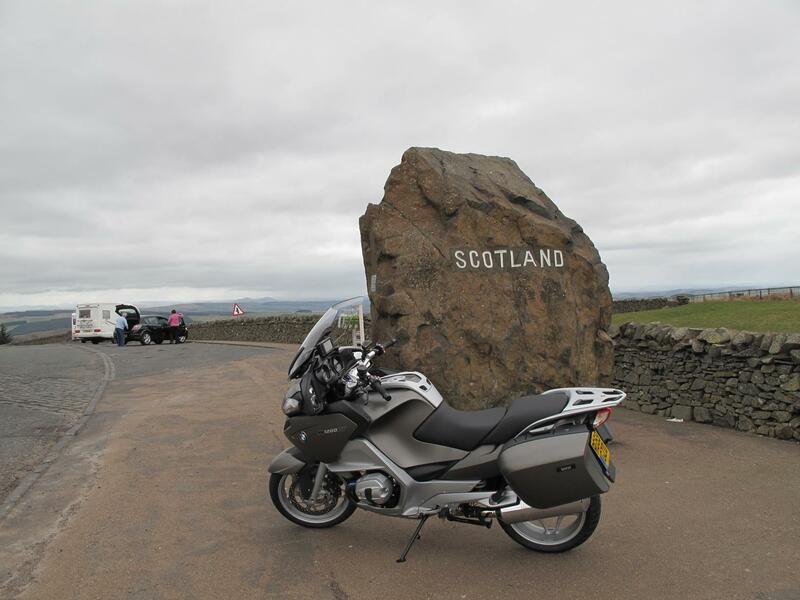 I've just woken up in Moffat in Scotland after a great days ride up yesterday on the BMW R1200RT. There's nothing like a long trip to help you gel with a new bike and the RT didn't disappoint managing to combine comfort with more than enough fun. The route up here took me along the A68 through the Northumberland National Park which is beautiful. No dramas as such but I did place a huge amount of faith in the BMW inboard computer which was giving me a distance to empty countdown. By the time I found fuel the RT had done 255 miles on one tank and had eight miles of range left! I was starting to get a little nervous. Will be heading home today after a great meal and relaxing night in The Buccleuch Arms hotel in Moffat which is run by a family who are all motorcyclist. Owner Dave Smith and his son Clint both own RTs.